Richard Dreyfuss, Holly Hunter and John Goodman star in this testament to the enduring power of love from director Steven Spielberg. 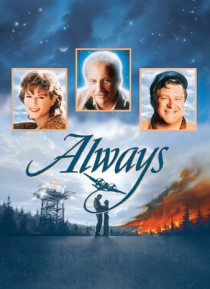 Pete Sandich (Dreyfuss) is a daredevil firefighting pilot who, in a moment of undeniable heroism, puts his own plane in danger in order to save his best friend. But his most challenging mission is still ahead: helping the girl he loved and left behind, Dorinda (Hunte… r), move on in life without him.